What makes a writer and their brand? For me, I am wounded healer. I use my life experiences of physical, mental and emotional pain to convey through story of how to change what could be a roadblock in life to one of creative change. Like Einstein in his fictional story, I use my inner spiritual compass to lift above my life circumstances to give my reader a new perspective in their life experience. Like Don Quixote,I dare to dream the impossible dream. To fight the unbeatable foe which in Einstein’s Compass was a dragon of immeasurable dark power. To be brave to face what could be a failure to follow the star of light that shines within me so my readers can see themselves as they have never experienced before. In writing Einstein’s Compass I found the courage to write a story beyond myself. I will continue my quest to dream to march for a heavenly cause and share the depths of my soul and through story uplift my readers. That is my pledge to you. Standing next to the bewildered journeyer, Moses smiled. He reached his arm around the boy’s shoulder and drew him closer to his side. The brown-eyed sage gazed down at Johann. “You did well. Your appearance prevented Werner from making an unwise choice.” Moses glanced at the crystal viewing Portal that sat on the grass nearby. “What was it like for you, traversing through time?” he asked. Johann flushed with praise. Then his face became serious. “Why is Albert’s compass so important, Moses?” Though a relative newcomer to the astral realm, Johann had acclimated quickly. He no longer stared wide-eyed at the celestial beings who visited this place often, and he had come into acceptance of his new life with remarkable ease thanks to the compassion and abundance of love accorded him by all he met. “Yes, yes that’s it,” Moses said approvingly. This is part of a series. What’s that about? 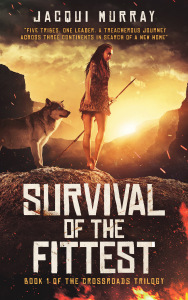 Survival of the Fittest is Book 1 in the Crossroads series and part of the Man vs. Nature saga. It delves into man’s ability to survive the unsurvivable, make decisions that could kill him, and makes plans contrary to his instincts. Most (all?) animals operate on an internal compass–instinct. Man has free will—the ability to reject our gut in favor of our intellect or heart. A treacherous journey across three continents in search of a new home. Which would never happen. ?Females weren’t warriors. Feet spread, mouth set in a tight line, she launched her last spear, skewering an imaginary assailant, and was off again, feet light, her abundance of ebony hair streaming behind her like smoke. A scorpion crunched beneath her hardened foot. Something moved in the corner of her vision and she hurled a throwing stone, smiling as a hare toppled over. Nightshade called her reactions to those of Leopard. With a lurch, she gulped in the parched air. The lush green grass had long since given way to brittle stalks and desiccated scrub. Sun’s heat drove everything alive underground, underwater, or over the horizon. The males caught her attention across the field, each with a spear and wwar club Today’s hunt would be the last until the rain—and the herds—returned. Albert Einstein’s journey to discovering his theory of time and light with the premise: what if Einstein had assistance from the Mystical Travelers to discover his theory of time and light. It was in Israel 2014 while traveling with J-R and our MSIA group that the story began to come to me. I have always thought of Einstein as a fascinating person. In reading about him, I discovered Einstein was a spiritual person whose father gave him a compass that sent him on his scientific journey. Since he was on a quest to understand the universe, I wondered, what if he was a modern mystic in his time? Moreover, what if he had assistance from spiritual beings to understand the universe? Through physics, he found his answers. Our book of fiction follows his biographical history from age six to twenty-six and adds a new level of mystical spirituality — that he had help from mystical beings who assisted him in his hero’s journey and his miracle theory. Einstein believed that we have to go beyond what we can see and measure in the physical world. Our book, “Einstein’s Compass” goes beyond what we know and adds a possible fictional explanation for how he came up with his miracle theory and changed the world. In 2014, I began to write the first chapters of “Einstein’s Compass, a Novel of What If?” Through email and social media, I shared my rough draft chapters with friends. Laren Bright — a book specialist who has been a friend for many years and lived in Los Angeles — would reply to my chapters with how he loved the story’s premise and offered ideas of how to phrase a sentence or two. I live in Lubbock, Texas and found Laren’s emails little treasures. Our emails went back and forth for about two months when I asked Laren if he would like to join me in writing “Einstein’s Compass.” He said yes. Therefore, began our four-year relationship of co-authoring. Laren: Sometime in 2014, my friend Grace Allison contacted me about editing a fiction book she was working on. 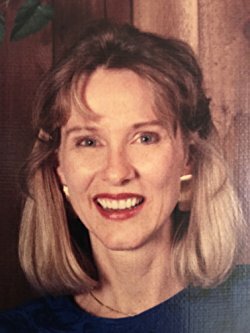 I have known Grace since the early 1970s and over recent years did some work for her on her self-help/self-awareness books. While my focus lately had been on promotional writing for authors, because of my long-term relationship with Grace, I decided to give it a shot. After working on a few chapters for her, I realized that I was adding more content than an editor normally would. And I was very impressed with her ideas and where it looked like the story was going. So I suggested that what we were doing was co-writing, and Grace agreed. I am by nature a collaborative writer. When I was writing television animation scripts on staff at Hanna-Barbera and Warner Brothers Animation, it was common for writers to work together. However, working with Grace was unique. I quickly saw that we each brought particular strengths to the process that complemented each other very well. Grace was amazingly creative with ideas for the story and was wonderful with researching both the historical material of the times Albert Einstein was growing up and also the information on Atlantis — which came from some very interesting sources. For my part, having written close to a hundred stories for television, maybe more, I had a pretty good sense of storytelling and structure and my work writing promotional materials gave me a solid foundation in the craft of writing and using language. I really enjoy going over and over and over something to make sure the language works well. Our process, which developed pretty organically and without much discussion among us, was for Grace to write a draft of a chapter and then send it to me. My job was to craft the language and refine or develop the story. I also was on the lookout for inconsistencies in the story and problems with the logic of how things worked. Then I would send it back to Grace for her review. Once we got the whole thing completed, we assembled the individual chapters into a manuscript and it was my job to go through the entire manuscript to smooth out any rough edges and hopefully spot anything that was off track. Then Grace gave it her final review. The only time we hit a conflict between us was at the end. I find when I write, the story reveals itself in a sort of organic way. When we got to the final confrontation between Albert and Raka, I saw it playing out in a particular way. Grace saw it differently. What ensued was a series of emails exploring how this might be resolved, and, to my surprise, we found a solution that not only satisfied both of us but also did not require any major revising of the earlier chapters to set it up. One thing that made our collaboration on this book particularly powerful is that our foundation of meditation and spiritual studies was highly aligned. As a result, the metaphysical/spiritual principles underpinning the story were largely real for us, and we would find ourselves naturally describing the same phenomena. This added to the substantial-ness of some of the material we covered that could have otherwise seemed merely fanciful. I found co-writing with Grace to be smooth and easy. I think we both had the same intention of what we wanted the underlying message of the story to be and that made it easy to cooperate with each other. We also trusted each other to do our very best, so we were always supportive of each other. I think co-writing this way was as much as an adventure as the story itself. Hidden in the symbolism and word-play of Shakespeare’s plays is the most important (forbidden) truth about who we really are and why we’re here on earth. In order to marvel at this subtext story, you may need to make the fundamental paradigm shift. The key paradigm shift is to see the characters not as people in the real, historical, or fictional external world, but as characterizations of three pairs of archetypes of our primary internal states of consciousness. 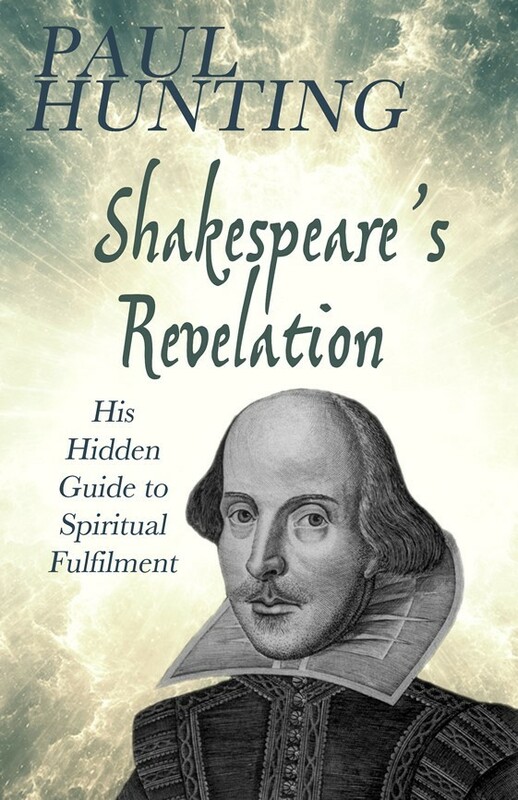 Having been a spiritual psychologist, theologian, and executive coach for over 30 years, I thought I was dreaming when I first realized that Shakespeare, to drive the plots of his plays, was using the exact same model of consciousness I have found invaluable to navigate my clients through the labyrinth of the ego into a more soul aware state. The most confusing element of the subtext – and thus most intriguing – is the plethora of different symbols that refer to what Shakespeare ultimately calls ‘The Tempest’. The Tempest shows up like Alfred Hitchcock, in some guise, in all the plays. Often it’s so subtle it’s almost invisible (as in Measure for Measure). 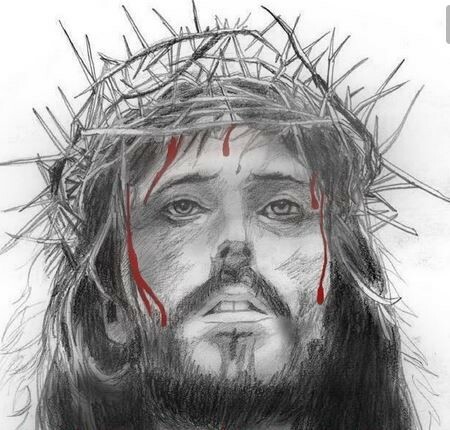 At the anagogical level, the symbolic story Shakespeare always tells us is ‘How Adam and Eve lost the ‘Holy Grail’ and how Jesus Christ got it back’! 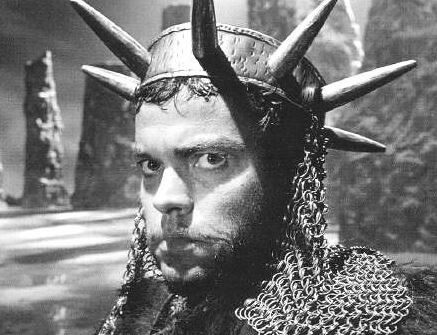 ‘The Tempest’ turns out to be Shakespeare’s term for what has become mythologized as none other than ‘The Holy Grail’. Hamlet is one of the most masterful disguises-and-thus-revelations of this never-before-realized analogy. As I said, if you suspend all disbelief and open your mind you may see this for yourself as I simply point out what the symbols say to me. As you can see from the pictures, all these biblical and Shakespearean symbols seem to represent the one same thing, for convenience let’s just call it: ‘The Holy Grail’. Ophelia’s role in Hamlet seems in part to represent the journey of Hamlet’s soul – independent of Hamlet as a mortal being. The key symbol used for Ophelia’s mystical travels is a variation of the term ‘the waters’. Using a ‘brook’ to represent ‘the waters’ goes back to the biblical story of David and Goliath. Symbolizing the power of ‘the Name of God’ to vanquish ‘evil’, it’s interesting that the boy-king David, holding a staff (another symbol for the name of God), took five smooth stones (again, more symbolic names of God) from a brook before defeating Goliath. Combining these symbols with the images conjured by the poetry is all-important here. We have the image of a wronged-innocent being borne aloft and transported by a stream of water, adorned by (in particular) ‘coronet weeds’…and ‘long purples’. While she is ‘chanting old lauds’ (praises). 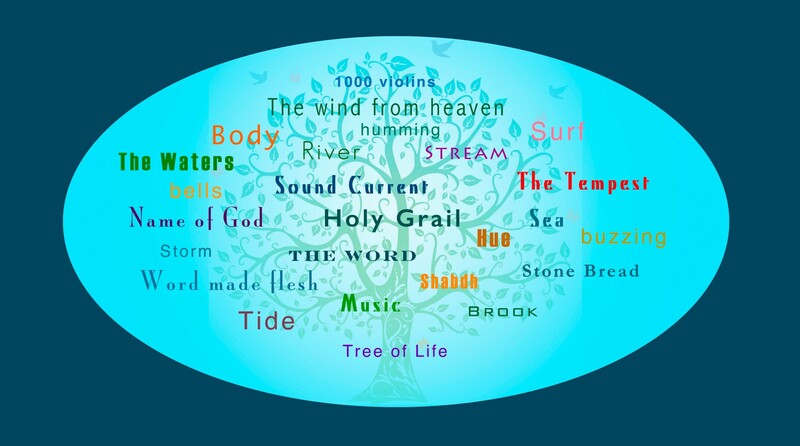 In some of the ancient spiritual mystery schools, initiates chant ‘sacred tones’ to attune them to what’s sometimes called the Sound Current, the lifestream, that, it is said, draws the soul home to the Godhead – in the same way, it is the haunting music that draws Ferdinand to Miranda in The Tempest. After all, in Twelfth Night (Epiphany), music is ‘the food of love’ and the principal character, Viola, is named after a musical instrument, and disguised as a boy called Cesario (King). Again, alluding to the resurrection of Jesus. And here’s the wonder of Shakespeare’s layer upon layer of symbolism: while Ophelia is ‘drowning’ in the glassy stream Hamlet is simultaneously traveling upon the waters to England. It is on this watery voyage that Hamlet foils the plan of Claudius (Satan archetype?) to have the two ‘Jews’, Rosencrantz and Guildenstern murder him. And what is a ‘rosen Crantz’? A crown of roses/crown of thorns! One of the most persistent mythological motifs in the deepest drama is ‘symbolic resurrection’. Shakespeare uses is his through, say, Desdemona, Juliet, and Cordelia who momentarily revive (or seem to) before their final death. Banquo ‘resurrects’ as a ghost. And here it is again with Hamlet. In surviving his attempted murder, he effectively ‘resurrects’ and when we see his new, upbeat mood in the final act this is corroborated. Why indeed? Surely, this is Shakespeare’s device for introducing his clincher symbol. 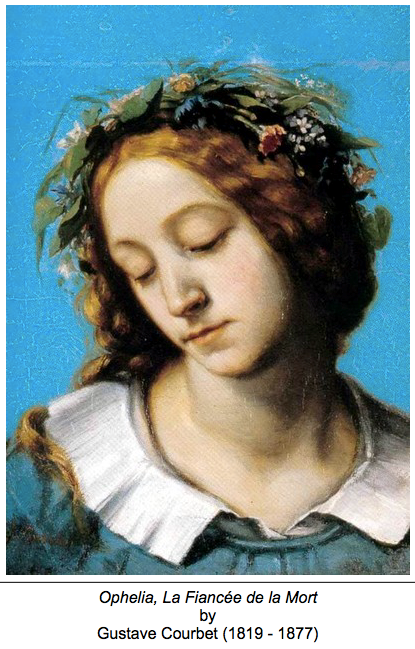 Ophelia has to be buried outside the city walls. What does Hamlet find in the grave being dug for her? 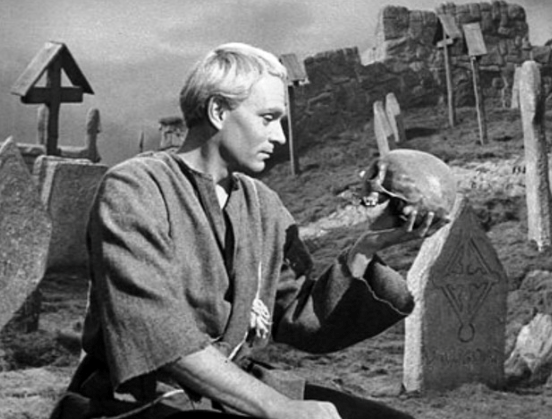 The most iconic scene in all of Shakespeare is no less than an allusion to where Jesus was crucified and buried, outside the city walls at Golgotha, ‘The Place of a Skull’! 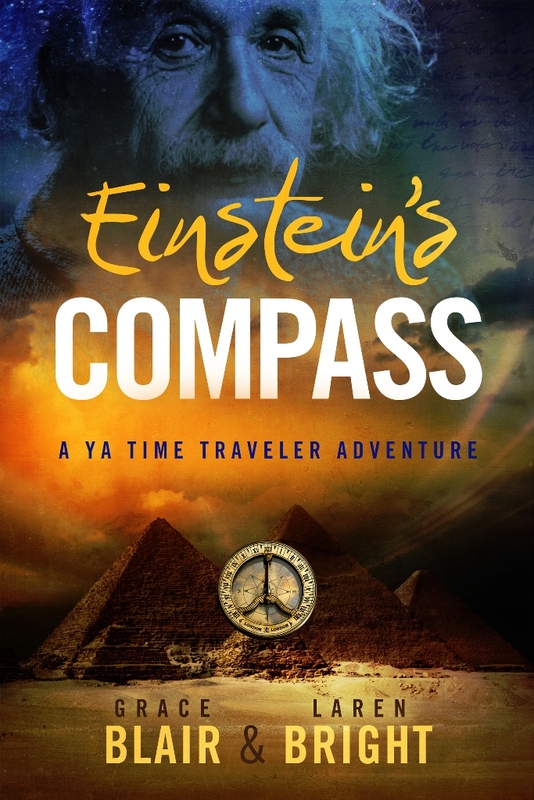 EINSTEIN’ S COMPASS by Grace Blair and Laren Bright is an exciting YA novel that weaves the life and discoveries of Albert Einstein with the eternal battle of good and evil. Blair and Bright introduce an evil entity into their novel that is destined to become Einstein’s nemesis. This dark power is named Raka and among his evil doings is the destruction of Atlantis. He is very powerful and can take on the form of other beings, but his natural form is that of a fire-breathing dragon. He is replete with many powers and some ghastly antisocial behavior such as eating humans raw. The cryptic statement “Give me what I want, and I’ll go away,” uttered by Stephen King’s evil entity Andre Linoge is equally apropos for this evil being because he wants something that Einstein has and Raka swears he isn’t going to rest until he gets it. The novel starts with the story behind the evil force that becomes Einstein’s adversary. 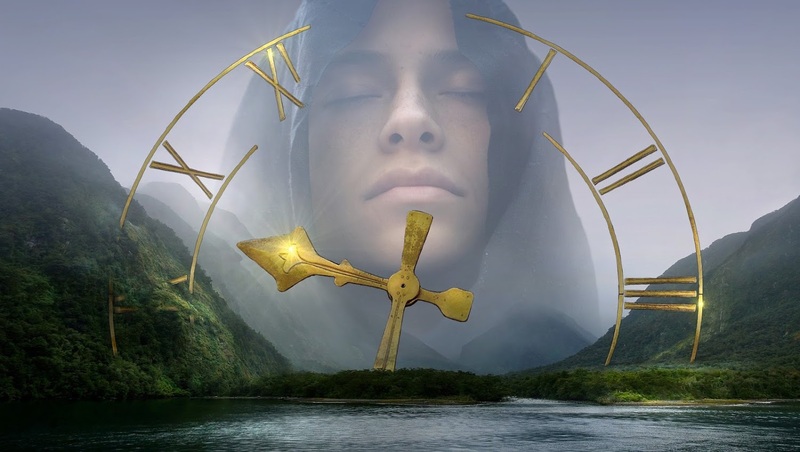 The source of the precious Shamir stone is revealed as an artifact created by God. When it is used by the righteous and the virtuous, its supernatural power can be harnessed for the good of mankind. The power of this stone is so potent that even Jesus, Moses and the angels are forced to have ad hoc meetings to prevent this stone from landing into the wrong hands of those who plan to wreak havoc on earth and all the other realms. Apparently, a dormant fragment of the Shamirstone was hidden in the compass device that Albert Einstein received as a child, and this fragment would only come alive if it came in contact with a being who was destined to have it and Einstein was a chosen one. At age five the famous 20th-century scientist Albert Einstein fell ill. Albert’s father presents his convalescing son with a compass to cheer him up. This simple device captivates the young scientist’s imagination because no matter where he went, the needle on the compass would only point in one direction. This experience apparently left a lasting impression on Einstein’s psyche and made him believe that something deeper is hidden behind the ordinary things around him. This incident from Einstein’s childhood has now become an anecdote used by teachers and parents to inspire young minds to explore the full potential of their mental faculties. Grace Blair and Laren Bright, mashup tale of Einstein’s possession of the compass add intrigue, thrill, suspense, and biblical meanings to the anecdotal story. The historical and religious references throughout the book are eye-opening and will probably send you on your own quest on Google to see what is real and what is fictional. The authors of this book create a biblical twist behind Einstein’s genius and his landmark contributions to mankind. 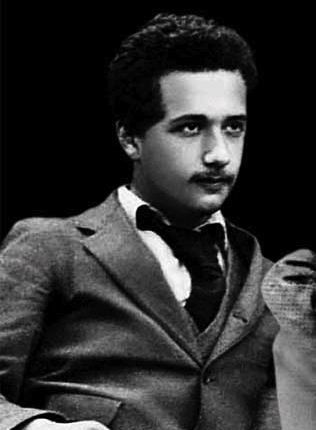 They also enhance his genius with the magical power of the stone which was first revealed to Einstein at age 12, when a three-dimensional number “33” floated above the compass. The number “33” is Einstein’s birth number, and the story suggests that double numeral birth numbers signify a “master path” and those with such a birth path “lift the loving energy of mankind”. 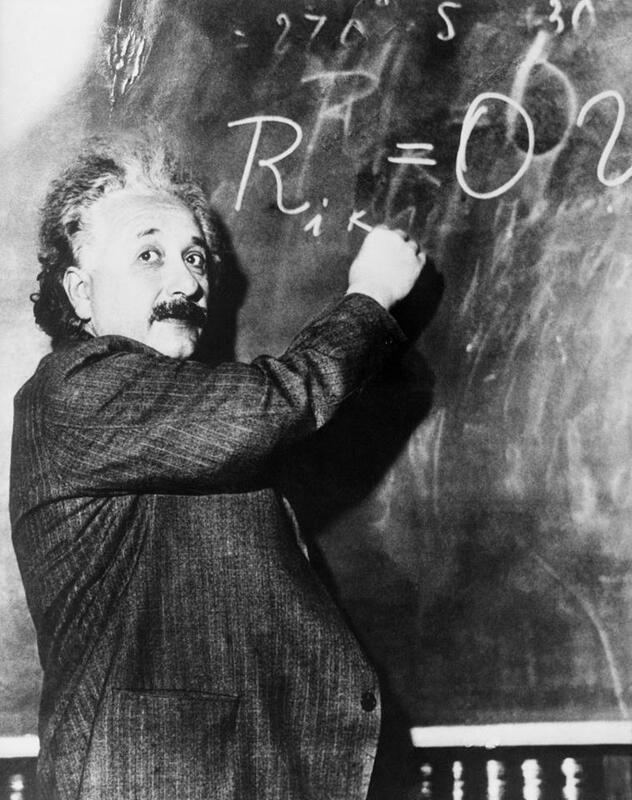 Einstein mastered science and math way ahead of his peers and could envision potential scientific theories that were unthinkable to his peers. As per the book, the Shamir stone provided him with a steady guiding light and helped him reach these eureka moments. The evil forces, Raka and his allies, however, are on a murderous path to kill the scientist and acquire the stone to attain ultimate power across all the realms. Luckily for young Einstein, the compass also serves as a warning device when certain evil is present. To this biographical narrative of Einstein’s life, the authors added an action-packed, thrilling battle of good versus evil and how a divine intervention, eventually led to Einstein understanding of “How time works.” The ending provides a huge surprise that neatly brings to a close the plot’s twists and turns. EINSTEIN’ S COMPASS is suspenseful, thought-provoking, and above all extremely entertaining. with such suspense. It’s very bold. put us under a wondrous spell. Albert ponders light, time and space. Was he born in another place? and for their most exciting book. You really should give it a look. I hope it will be a movie. It’s one that I would like to see. Great scenes jump off of every page. This film could be box-office rage! Well, I have never had a review like that. Kudos to both of you! Awww! Two of my fave people AND a poem. What a treat! From the Kindle Store in your desktop browser, select the book you want to purchase as a gift. Note: Free books, books on pre-order, and subscriptions cannot be gifted at this time. On the product detail page, click the Buy for others button. Enter the personal email address of your gift recipient. Tip: If you are unsure of the email address for your recipient, you can select Email the gift to yourself before placing your order. This allows you to forward the gift email or print and personally deliver it to your recipient. The gift recipient can enter the Gift Claim Code from the email, after logging in to their Amazon account. Click Place your order to finish your gift purchase using your Amazon 1-Click payment method. You can redeliver a Kindle book gift you’ve purchased by going to Your Digital Orders in Your Account. From the Order Summary page, click the Resend E-mail button. Title availability may vary by country and copyright restrictions. If this title isn’t available for your gift recipient, they can contact us and we will exchange your gift for an equivalent value Amazon.com Gift Card. For more information, see Exchange a Kindle Book Gift for an Amazon.com Gift Card. During the 15th Century, the Spanish Inquisition punished people who had otherworldly experiences with God. Anyone who was a healer or had intuitive knowledge of God was burned at the stake. According to the church, the only way a person could hear the word of God was through a priest or minister. Today the term “mystic” is associated with the occult, magic, astrology and tarot readings. I want to educate people to know that the mystical is not dark magic nor should you be ostracized. According to the dictionary, a mystic is a person who seeks by contemplation and self-surrender to obtain unity with or absorption into the Deity or the absolute, or who believes in the spiritual apprehension of truths that are beyond the intellect. Being a mystic is a spiritual, religious, and transcendental experience. St. Theresa of Avila, a former Jewess was a Catholic nun and a mystic in the 16th century. The Catholic Church venerates more than 10,000 saints with many being mystics. Patron saints are often chosen today because an interest, talent, or event in their lives overlaps with the special area. For example, St. Francis of Assisi was a mystic who loved nature and so he is the patron of ecologists. St. Francis de Sales was a mystical writer and so he is the patron of journalists and writers. St. Clare of Assisi, a mystic and the patron of television because one Christmas when she was too ill to leave her bed she saw and heard Christmas Mass — even though it was taking place miles away. Angels are also named as patron saints. I do not claim to be a saint. However, there are saints among us who do the work of loving service. In 1973, I discovered a spiritual phenomenon called the Mystical Traveler Consciousness. The Mystical Traveler is in everyone and is the living love of the spiritual heart of Jesus Christ. Imagine having an intuitive flashlight to look into the darkness of your soul. With the Light of God and the Mystical Traveler exercising the living spirit within, you can step into an awareness that will lift and assist you in your life’s lessons. In the “AHA” book, “Do You Have a Dream?” 140 Insights into Building Confidence, Overcoming Stress & Loving Yourself”, you will have 140 of my best insights to assist you in focusing on and discovering more of the wisdom, truth, and beauty within you. Let go of the world around you, go inside, find your dream and follow the adventure of making it come true. Grace Allison, http://www.gracethemystic.com Modern Mystic: I am a creative, enthusiastic, visionary who enjoys making a difference through service. Are you shouting out your #1 status? Since Amazon changed its policy to allow third-party sellers to run rampant over author sales pages, I discovered Amazon’s Marketplace has little control over what the sellers charge. The new book price of ten dollars competed with the lower priced used copies of my non-fiction book,”Do You Have a Dream Workbook 5 Keys to Realize Your Dream”. Who are third-party sellers on an author’s book sale page? 1. Resell your free paperback that was in a giveaway on Amazon. You will not receive a royalty. 2. Resell a paperback that someone purchased either through Amazon or directly from you or in a bookstore and now wants to sell back on Amazon. In which case you the author will not receive a royalty. 2. There are book pirates who purchase an ebook then will create a print on demand copy and sell on Amazon. There are a lot of these on Amazon. The author will not receive a royalty. The book pirates are hard to find. 3. People will purchase copies of books from Ingram. You might receive a royalty from Ingram. A very small one. What is most important is that the “Buy” button where your book is purchased with one click is often the lowest price book which means the sale will defer to the third party seller. You can contact the third party sellers and request them to pay you a royalty. They won’t, however, you could discourage a number of them of listing your book which could give you leverage to have first place on the “Buy” button. I would not be paid from the third-party sellers because they had the right to resell my book without regard to copyright according to “First-Sale” doctrine. Once a copyrighted work has been sold, the original copyright holder no longer holds control over how the purchaser transfers the item. So once someone purchased your book they are free to sell, lend or donate the book as they so choose, as long as the copy itself is not an infringing copy. Given the circumstances, I contacted each third-party seller and asked if they sold one of my books would they pay me a royalty? I received a few boilerplate replies stating the first-sale doctrine. However, I was surprised to receive two thoughtful responses. that we take such matters very seriously and would never list such items intentionally. We have permanently removed this title from our listings and quarantined it from being re-listed. We have forwarded details of this matter onto our supplier so they can also take appropriate action. If you have other listings that you would like us to remove please provide us with a complete list of ISBN’s or the prefix (1st four digits of the ISBN – identifying the publisher) and we will be happy to remove those from our listings as well. For any questions about your royalties, you should reach out to your publisher. Please feel free to contact us if you have any questions or concerns. Brand in our inventory and we sincerely apologize for this matter. Our intention was not to infringe your rights. be assured that we won’t list it anymore. In case you see reminding articles, please contact us and we will remove it immediately. Thank you for your kind understanding and cooperation regarding this matter. I priced my new book “Do You Have a Dream Workbook 5 Keys to Realize Your Dream” $4.73 and is now ranked #1 on Amazon’s book sales page. Today the resellers I contacted have priced my book to twelve dollars or more. I plan to increase the new book price a few dollars. I recommend every author contact the resellers on their Amazon book sales page and take charge of your sales ranking and receive your hard earned royalty. Go to your Amazon page where your book is for sale. Then click on each reseller link, and you will find an email address for each reseller. Here is a copy of the e-mail that I sent to Paragon OS Co. The book sellers listed have the older book price. My book is listed in your Amazon bookstore. Will you be paying me a royalty if you sell my book? Now, if you’re having trouble finding the courage to contact the resellers, then you need to buy my Dream book to help you discover your confidence. 2 comments to Are you shouting out your #1 status? That is just amazing. I assume this applies just to selling the book, not quoting, meaning you still need the citation if they’re quoting from your book. But the sale is bad enough. I’m glad you dug into this, Grace. Don’t know how I missed this post. I remember it coming in on my email but for some reason I didn’t click through. Hmm…. and blog. We have a huge amount of talent here.